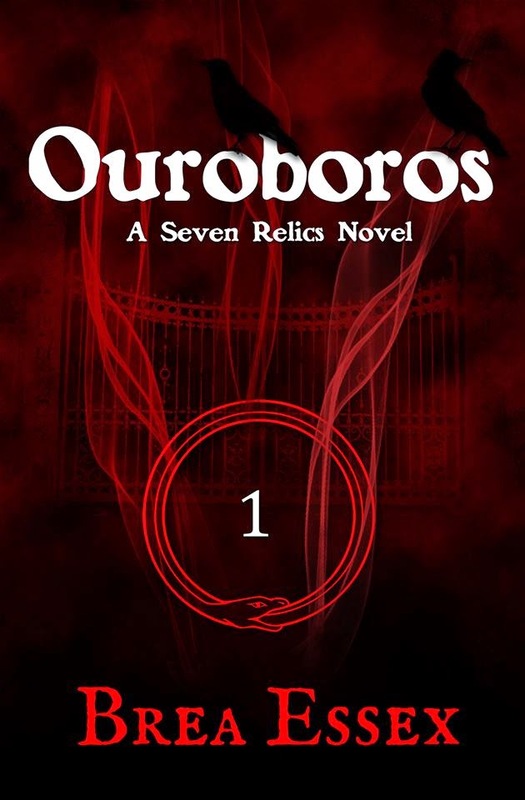 Please welcome Brea Essex as she shares her long teaser excerpt for you from her book Ouroboros! I felt as though I was walking in circles, and the beginning of something like panic started to lick at my mind. Had they forgotten I was coming? Had they not prepared a place for me? I began to run through the house. The walls seemed like they were closing in on me. The ceiling was dropping lower and lower. The halls were becoming narrower. Everything was shrinking, shrinking, shrinking. By now, the ceiling was too low for me to stand. I ceased running—there was no room. Crouching down, I continued my search. What was I looking for? I had forgotten. All I knew was that I needed to find something. Now I was crawling on my hands and knees. The walls and ceiling were all so close together at this point, that I couldn’t go any further. I was completely trapped. Maybe I could turn around and try to trace my way back. I backed up until I could finally turn around. When I turned, there was a boy standing there. I stifled a scream. He had appeared so quietly! There was something familiar about him. His slightly wavy, messy brown hair reminded me of someone. Where had I seen him before? A movie? Was he someone I knew? “I can help you find your way out,” he intoned quietly. I stared at him for some time, unsure whether I should accept his help or not. Although I really did want out of this seeming maze, there was something about him that didn’t sit quite right with me. I opened my mouth to agree to his help, but instead watched in shock as a blade appeared, glinting in the middle of his chest. The boy’s eyes opened wide, and he slumped to the floor. I began to scream shrilly, my shrieks reverberating through my head as they bounced around the narrow enclosure behind me. Another boy stood behind him, his sandy brown hair gleaming even in the poor lighting. He twisted the blade in the fallen boy’s body, and then cruelly jerked it out. He calmly pulled a cloth from his pocket and cleaned the sharp edge that was now dull from a dark substance. Blood? No, it seemed darker than that. “Stop screaming, Rhi,” he ordered me. How did this boy know my name? My curiosity got the best of me, and I fell silent. “Why did you kill that boy?” I asked shakily. “He certainly looks dead!” I shrieked. “Why should I trust you?” I demanded to know. “I don’t even know you!” I wailed. “Yes, you do. I’m Zac. You will remember everything once we are out of this house. Now, let’s go!” He grabbed my arm and pulled me after him as he ran through the twisting halls. When we reached the kitchen, I skidded to a stop. My new family had cooked breakfast for me! I frowned. Had morning come while I wandered the halls? The whole night was gone. “Come on, Rhi,” Zac insisted. I stumbled and tripped as he towed me across the uneven ground. I felt a shaking beneath my feet, and Zac shoved me roughly to the ground, covering my body with his. I started screaming again and felt as though something was trying to rip my very soul out. Zac kept his arms around me, ignoring my struggling. I felt a strong sucking sensation, and then we were both tossed across a rolling, grassy knoll. Finally, the rumbling stopped and everything went black. I looked up cautiously. Zac’s face was pressed close to mine, and I could feel his weight on my back. His laugh echoed faintly in my ear. He rolled and fell off of me. “Do you remember who I am now?” he asked. Want to read more? 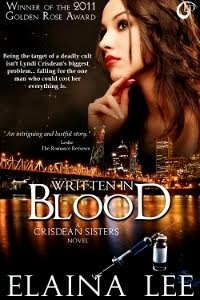 Check out Amazon, Barnes & Noble, Kobo or Smashwords and get your copy for $3.99! Thanks for stopping by and checking out Brea's work, hope you enjoyed!